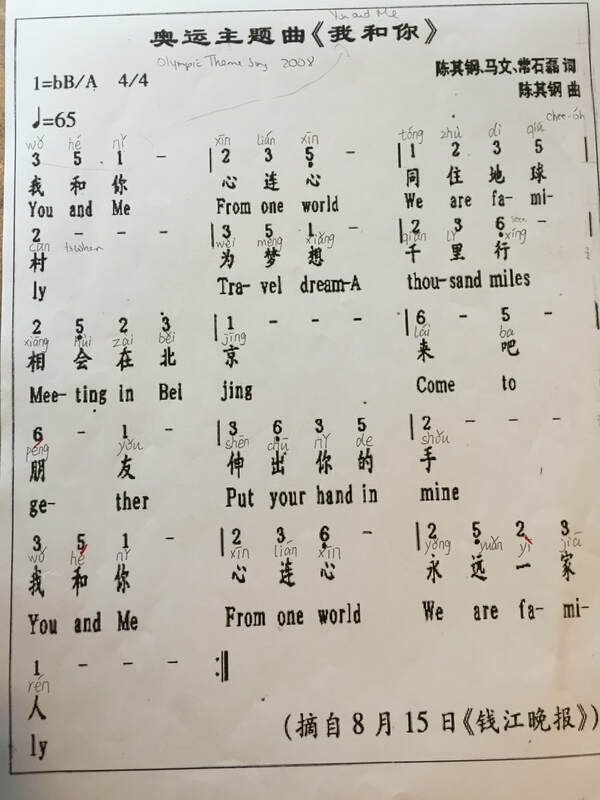 This is a well-known song in China. This slow sung melody is excellent for singers young and old. A bonus feature is that it is written in both English and Chinese. Wǒ Hé Nǐ was sung in the opening ceremonies of the Beijing 2008 Olympics. Sarah Brightman and Liu Huan sang it together. You and me, from one world. Travel dream, a thousand miles.